QB Kyler Murray to the Cardinals with the First Pick a ‘Done Deal’? 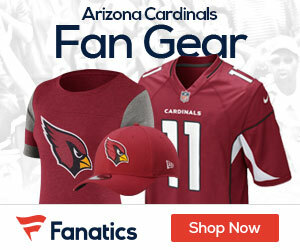 Sign up to receive our daily Cardinals Gab newsletter, and keep up to date with all the latest Arizona Cardinals news. Celebrity Seats has all the best Arizona Cardinals Tickets, Arizona Diamondbacks Tickets, Phoenix Suns Tickets, and Phoenix Coyotes Tickets!